No, just kidding; these are just questions I assume some people might ask. Scratch that; these are the things I periodically ask myself and I figured getting them out on paper might make them seem less daunting. 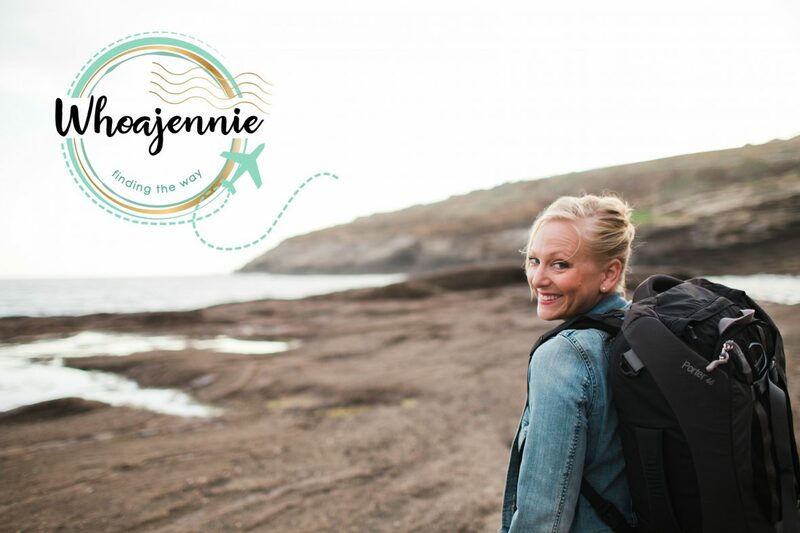 Why are you starting a travel blog when there are already so many of them? I am starting the 817,234th travel blog because I have never written one and my perspective is different, valuable and worth exploring in my own voice. There is a lot going on in the world and anything any one of us can do to make the world seem smaller or help us all feel more in touch with our fellow man, well, I’d say it’s worth the effort. So here I am; trying to bring the world to people who can’t get there quite yet. Why would anyone read a travel blog written by someone with kids? Won’t your travels be impeded by them? This is huge. Motherhood is not a place women go to die. And it does not wholly define me or anyone else. No one would ever ask, “Why would a father make a good helicopter pilot?” Exactly. Traveling with kids, when I have done it, has only ever enriched my experience. Do I only travel with my children? No. But when I do it often leads me to look at things through a different lens and they observe everything differently and share their observations and excitement which can be enriching and valuable beyond explanation. They surprise me with their willingness to try new foods and talk to new people. They are unabashedly curious and that helps me stay immersed in the journey when sometimes I get too caught up in the destination. If you do have children my blog is worth reading because it may help you feel brave in the face of the tiny adversities we need to overcome to take trips with kids and maybe you will learn something. Or you can laugh that your kids aren’t the only ones who think underwear is optional and a tooth brush is not a packing necessity. Or maybe how I cleaned up puke in that rental car on the hillside in Spain will come in handy?! I have been to all but 6 of the United States of America. The 6 I am missing include the 5 most northeastern states and Alaska. Internationally I have been to Japan, Mexico, Canada, Spain and Israel. So far. Must sees include Australia (end of April 2017! ), New Zealand (early May 2017! ), Portugal, France, The Czech Republic, Scotland, South Africa, and the Galapagos Islands. Oh, and the Northern Lights from anywhere I can catch a glimpse. I know, that list is all over the place geographically and otherwise. Want to sees include, England (I know, who hasn’t been there? Me. Sadness. ), Ireland, Poland, Croatia, Norway, Sweden, Switzerland, Italy, Morocco, Thailand, Germany, India, more of Canada and a slew of locations I haven’t been in the USA to include Maine at the top of the list. I love new smells; the sensation of the sun on my skin in a new city when I close my eyes and catch the hint of unknown baked goods or a new botanical scent in the air. That being said, new smells can be scary but usually it is just part of understanding the place you are in at the time. They can also bring great comfort and be like a warm, familiar hug from a good friend. Today at the beach I hugged my husband and smelled his chest. As I blurted out, “You smell like the Crystal City Ritz Carlton,” he quickly responded, “You are so very strange.” I know. But he did. I love waking up in a new place and knowing the night is over and with the sunrise comes a new chance for exploration and experiencing new things. I love the FOOD. Who are we kidding? I judge most new places by their food. Maybe judge is too harsh, but I rank them on my like to love scale based on food. When my husband is along we typically learn how to ask for food without onions because they tend to make him sick so that is always a fun part of a new place. Oh to see him act out the request for no onions! But I digress. I like to bring a camera – or at the very least my phone (with camera). I’ve never traveled without packing mascara and lip gloss and my GLASSES; I like to be able to see. I’m a huge fan of travel Woolite packets and a drain cover for doing my own laundry. It’s imperative to remember sunscreen, moisturizer and a cleanser. Clothing wise, I am fine with packing light and would be satisfied with my favorite jacket, leggings and jeans, a skirt or dress, a couple cotton tanks, my favorite denim shirt and a light scarf. I love comfy pajamas but don’t see the point of packing designated pjs when space is at a premium. Usually a pair of shorts and a tank or t-shirt will do the trick and serve multiple purposes. Depending on the destination a pair of sandals, boots, sneakers and my Toms are my four go-to pairs of shoes to pack. What type of luggage do you use? A few years ago I scored an amazing Osprey Porter 46 backpack off eBay for cheap and it is my favorite travel bag when we go international. It’s the perfect size for my 5’2” frame and I love not having to check a bag or lug big pieces on public transportation or over cobblestone roads etc. I bought it used but in impeccable condition and it has served me so well. No complaints. I separate my clothing with eBags packing cubes and often am able to fit my own clothes and my kiddos necessary items in the same bag. I call it Mary Poppin’s purse because it mysteriously holds so very much! But no lamps. That would be weird. And unnecessary. When we travel domestically by car or even in the air I tend to prefer my clunky luggage if I know the trip is not too crazy. Several years ago – like 9 – my parents gave me a set of Vera Bradley luggage that is gorgeous. It’s heavier than the newer models but it sends me back to my sorority days and is easy to spot on the luggage wheel after a flight. Hubby uses a Samsonite with a movable shelving situation going on inside and I love that thing. If I travel domestically without him I always borrow it. It’s light, easy to maneuver and is just really slick looking. Not that looks matter but I’m lying, looks matter. Where do you live when you aren’t traveling? I live on the island of Oahu in a small town called Kailua. It is on the breezy windward side of this beautiful island and after 1/2 a year we are finally figuring out our favorite things, most challenging hikes, good eats and where to go for my hubby to learn to surf. I love the people, the sun, the sand, the malasadas, the ahi tuna and the juice bars on every corner. This place is my jam and I plan to soak it up between big trips for the entire time we are lucky enough to live here. Now I will really sign off. For today. Big stuff is happening in our little world including a visit by my parents in the coming week so expect to hear all about it. Until then, thanks for sticking around to find out more about what drives my passion and feel free to post some of your own questions so I can respond!